The COE Banquet funds have been generously used to support undergraduate research projects. The Computer Circuit Laboratory, Holmes Hall 451, has been upgraded with new laboratory tables and PCs for 10 benches. The PC software includes LogicWorks, Xilinx Webpack, Modelsim, and Microsoft Office. In addition, department funds were used to purchase new field programmable gated array (FPGA) development boards. This laboratory supports EE 260 Introduction to Digital Design and EE 361L Digital Systems and Computer Design Lab. The CoE Banquet funds wereused to purchase 10 PCs, one per lab bench. The PCs have Matlab, OrCAD PSPICE, IntelliCAD, and Microsoft Office. With the new PCs, students have computer and networking capability at their lab bench. This lab supports EE 323L (Microelectronics I Lab) and EE 326L (Microelectronics II Lab). There are 10 lab benches, each with standard circuits laboratory equipment. The CoE Banquet funds were used to purchase 10 digital oscilloscopes, one per lab bench. They replaced old analog oscilloscopes. The department matched this by purchasing 10 PCs. The digital oscilloscopes are designed to operate with the PCs which greatly improves data acquisition. The PCs have Matlab, OrCAD PSPICE, and Microsoft Office. 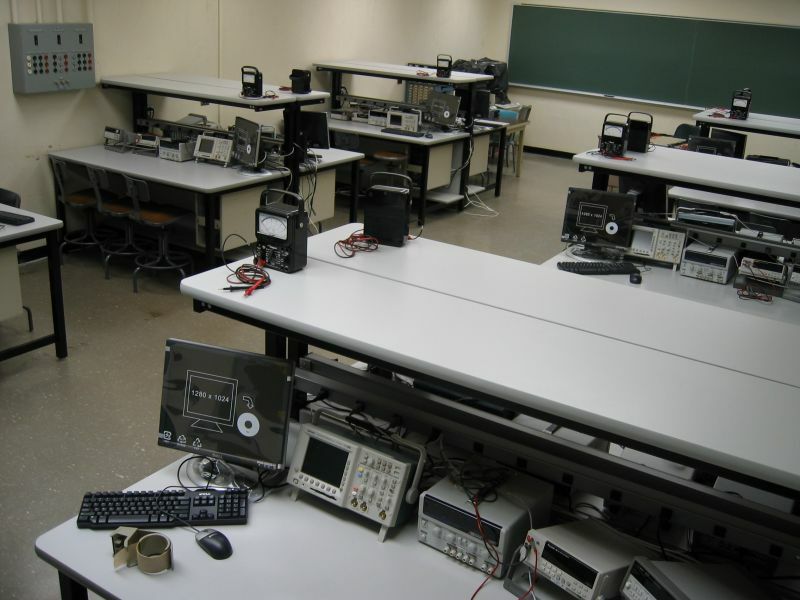 During the 2003-04 Academic Year, the Basic Circuits Lab was upgraded. This lab supports EE 211 (Basic Circuit Analysis I) and EE213 (Basic Circuit Analysis II). There are 10 lab benches, each with standard circuits laboratory equipment, including multi-meter, power source, function generator, and oscilloscope. The CoE Banquet funds were used to purchase new digital oscilloscopes for each lab bench. In addition, new lab tables were purchased to replace the old ones which makes the lab look entirely new.